Getting tough on litter – seems fair enough! 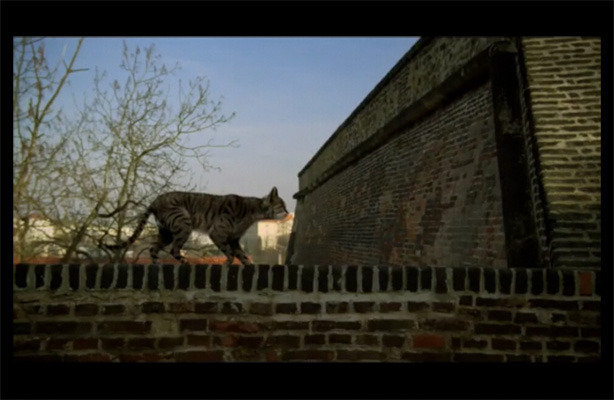 Some would say that the punishment for litter her is harsh well it seems fair enough to me. 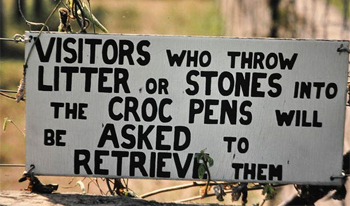 I am sure that Crocodiles don’t like litter, but I bet they love litterers, don’t you? 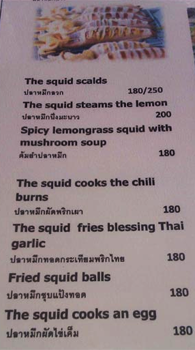 Here is a list of the tasks a Squid Chef can perform straight from a new Vietnamese restaurant in Hanoi – wow, i didn’t realise that Squids were so talented and more importantly could do so much, so there is an up side to having eight limbs! Ok I noticed like you that “the Squid cooks the chili burns” but what can you expect the poor devil only has eight hands and that is a lot to keep just a pair of eyes on, there was no need in my opinion to fry “Squid balls.” That was just unfair he was doing his best! Well it is a good question isn’t it and I think I have the answer to this little teaser below or at the very least can offer you a very ‘Swiss’ view of religion! 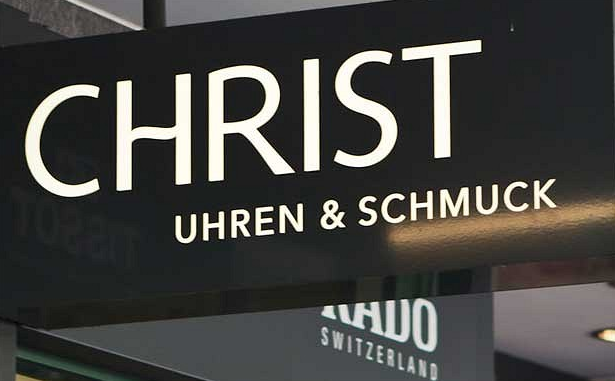 I am not sure because I don’t speak much German but I think that the sign says when roughly translated “Christ you are a smack” now I could be wrong and frankly hope so. 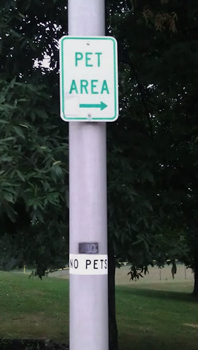 Mind you I am all for keeping pets in the right place, though to do that we really do need a ‘Pet Area’ don’t we! It’s just difficult to decide where to put them – obviously! And F**K you twice too! 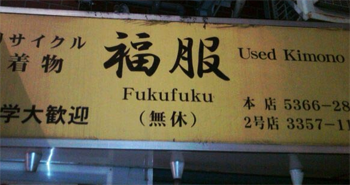 Well that isn’t very nice is it? 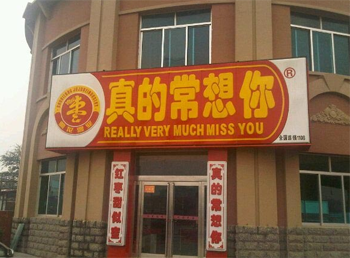 We really very much miss you too! Silly little sods you have to love ’em! There is such a lot of nonsense offered in signs and here from Kenya International Airport is even more! You can keep your help away from me thank you! 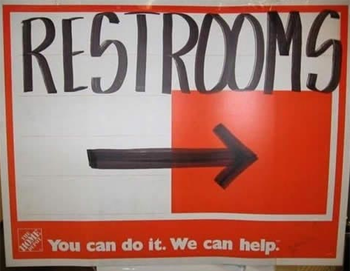 Americans are famous for being very helpful, especially when they work in stores, but I think that helpfulness can get a little out of hand, or is that in hand? In Florida they seem to have gone a little too far for comfort! First before you show you this sign I would like to say that it occurs to me that the Chinese have a bit of a ‘thing’ about stairs and signs and signs on stairs, they seem to have hundreds of different signs especially made and mis-translated for any and ever staircase and what they think any foreigner might get up to on them. Shame on them! That is what I say, just how stupid do they thing english speakers are? 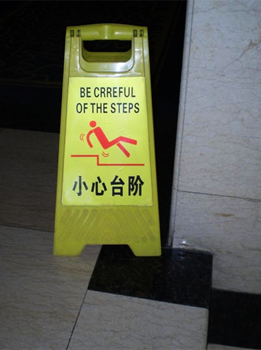 So here is the latest and as the title says it’s always good to be Crreful especially in China because it would seem that there probably is some idiot English speaker around the corner just waiting to injure himself and in doing so take you out with him! Where do Monkey’s keep their cash? If the headline is a question that has worried you constantly for most of your life, then you are in luck because I think I have an answer! 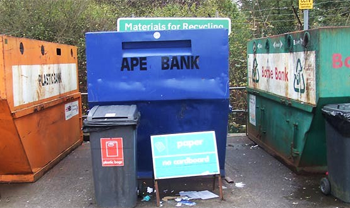 As you can see I think that’s where careful Monkey’s keep their cash, I don’t know where the less careful Ape’s keep their folding stuff – up a tree? Possibly!